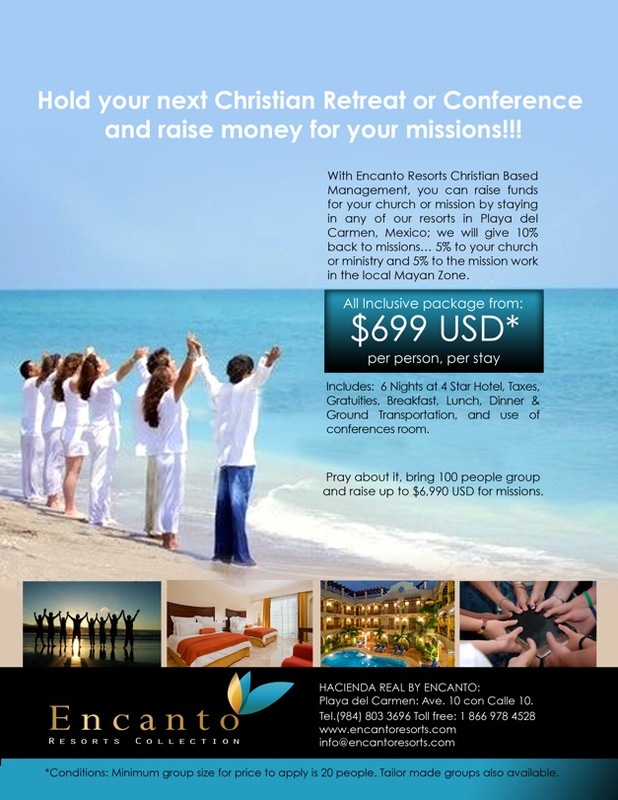 We have a new unique and innovative way for raising funds for mission and ministry. 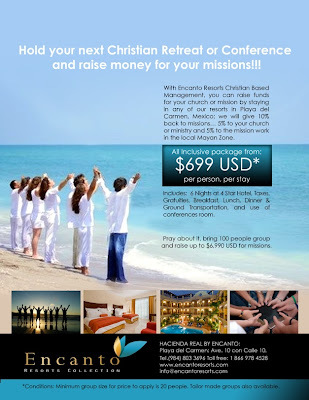 Plan your next retreat or conference with Encanto Resorts in Playa Del Carmen and they will donate 5% to our mission work here in Mexico and 5% to your ministry or charity... This is a great deal!